Employees sign up for shadowing as either a “host” or a “learner”. They provide information about their department and position, and state whether they would like to show or learn. Based on the criteria defined by you, our smart algorithm matches suitable colleagues and sends an invitation to both of the pair. The learners experience a day with their hosts. They shadow the host’s daily routine or perhaps even take on a few tasks. In this way, they learn about the type of work involved in a previously unfamiliar area of the organisation. The use of Mystery Job promotes better internal communication within your organisation. Employees expand their personal networks and find it easier to seek out points of contact for important issues. At the same time, the interpersonal exchange of ideas between previously unacquainted colleagues strengthens the atmosphere of trust. All of this makes Mystery Job an important contributor to change management and cultural shift. 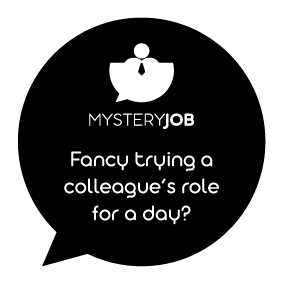 Mystery Job breaks down barriers to communication and promotes exchange across departmental and hierarchical boundaries. As a result, silo mentality and misconceptions are broken down and employees acquire a new perspective on the organisation. Manually setting up a job shadowing programme is labour-intensive and often inefficient, burdening your admin staff with an array of complex processes. Even before you consider the programme itself, the manual administration of (potentially) hundreds of interested parties is difficult and time-consuming. That’s where Mystery Job comes in: it completely automates the sign-up and allocation process. A climate of trust and the ability to work autonomously is of particularly importance for up-and-coming generations in the workplace. 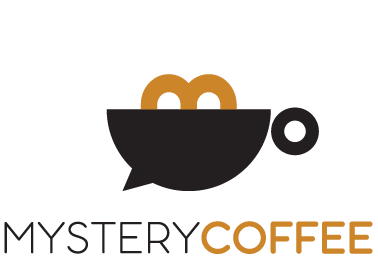 Mystery Job promotes an open company culture and contributes to a strengthening of your employer brand. A change of position within the firm has advantages for all involved: the employee gets opportunities for advancement and you retain a specialist on a long-term basis. Filling vacancies with existing employees not only reduces the amount you spend on external recruitment, but also means that employees’ skills are used to their best and most value-enhancing advantage. When colleagues are already familiar with what to expect from a new role, the switch can be as smooth and hassle-free as possible. Mystery Job allows participants to understand a role before taking the leap. Mystery Job is provided as an online platform that enables you to get started quickly and with ease. Running and administering a job shadowing programme is rendered straightforward and convenient. When employees have the chance to familiarise themselves with the day-to-day work of another department, interdepartmental cooperation is improved. By enabling employees to gain direct experience of a colleague’s role, Mystery Job makes processes and workflows easier to understand. In the future, participants are more easily able to recognise the right point of contact for a particular issue. Complex processes within organisations inevitably mean gaps –in communication between colleagues and in productivity. Such gaps arise, for example, when projects are required to be repeatedly paused and restarted. This complexity brings with it high costs, since even when projects are at a standstill, internal and external employees (and other resources) must still be paid for. Resources go unused and money is squandered – and the loss is typically hard to quantify. In many cases, communication and personal interaction are enough to prevent such scenarios. Barriers and preconceptions typically arise due to a deficit in communication. Face-to-face exchange within a job shadowing programme combats this by facilitating better understanding. As a result, Mystery Job strengthens the trust between interdepartmental colleagues. We adapt the Mystery Job system completely to your requirements. We integrate your corporate design, adapt all texts and incorporate all of your internal departments and roles. Mystery Job can also be used under the name of your existing change initiative or job shadowing programme. You set your preferences for optimal job shadowing and we configure the system accordingly. Our algorithm takes into account any special wishes on the part of participants, thereby facilitating optimal matching quality. With us, your data is always safe: all connections are protected with SSL encryption. Data is exclusively stored and processed on secure servers in Germany. At the start of our relationship with you, we create an individual data protection agreement in line with your requirements – and of course, adhering to regulatory requirements such as the EU GDPR. Questions from you and your participating employees are dealt with directly by our customer service team. Because of this, once Mystery Job is launched, it requires virtually no time or effort to maintain. If desired, we can support you in regard to the ongoing optimisation of the system. 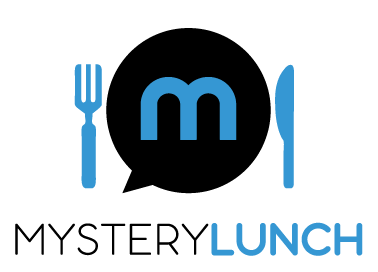 At Mystery Minds, you’ll always have a personal point of contact – whether you require assistance with the quick realisation of your requirements, the implementation of the system or an operational process. We also offer support with specialised queries, e.g. regarding communication with senior management or preparation for works council meetings. Our cloud-based Software-as-a-Service solution means you’re always on the safe side. Continuous operations, regular updates and backups: our developers take care of all possible needs. Filling vacancies internally has a number of advantages for companies. As well as saving money, it is often possible for them to find the right candidate more quickly than with external recruitment. At the same time, a change of role is associated with risks for both employer and employee. Job shadowing gives employees an opportunity to learn about the positions and roles they could potentially see themselves undertaking in the future. This engenders a sense of security, helps them feel good about their decision and facilitates the decision process. Improving communication, making information readily available and making better use of synergies: the enhanced exchange of information via organisational interfaces has a knock-on effect on cooperation. If an HR department is seeking to strategically exploit this effect, Mystery Job can play an important role. Recruiting externally for management positions often presents a considerable challenge. If an existing employee is able to fill a leadership vacancy, things are often much simpler. 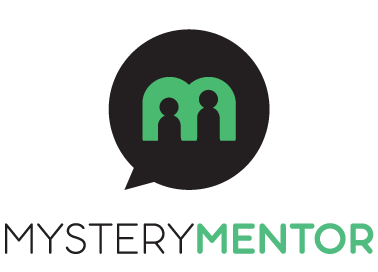 In this regard, Mystery Job helps you uncover opportunities for employee development. Usually, you’ll be able to quickly recognise whether an employee is a good fit for a particular role. Unfavourable changes are avoided and human resources are better utilised. Job rotation increases flexibility, enhances interdepartmental understanding and promotes growth. Mystery Job can help by digitalising your job rotation programme. Our tool pairs up colleagues who are interested in a temporary “job swap”. In this way, you increase the level of dynamism in the organisation and open up new perspectives – all with minimal organisational effort. Change always begins in the mind. Whenever a change process is pending, its ultimate success depends on a smooth, frictionless design. This functions best when employees have a view “from above” of the entire organisation – and are able to develop an understanding of its future strategic direction. Mystery Job can play a useful role in this regard. Recruiting externally for management positions often presents a considerable challenge. If an existing employee is able to fill a leadership vacancy, things are often much simpler. 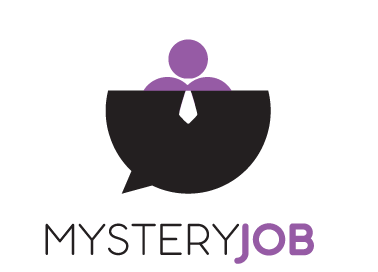 In this regard, Mystery Job helps you uncover opportunities for employee development. Usually, you’ll be able to recognise quickly whether an employee is a good fit for a particular role. Unfavourable changes are avoided and human resources are better utilised. 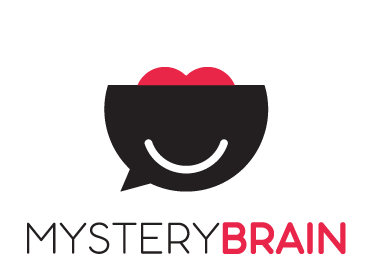 We send a monthly newsletter with information about Mystery Minds and about improving your company culture. Keep up to date with the latest news! I have read and agree with the data protection declaration.